The Collected Works of C. G. Jung is a book series containing the first collected edition, in English translation, of the major writings of Swiss psychiatrist Carl Gustav Jung. The volumes were edited and translated from the original German by Gerhard Adler and R.F.C. Hull, occasionally with assistance from others. Most were not written by Jung as books, but are collections of papers, essays, lectures, letters, etc. written by Jung from 1902 until his death in 1961, and compiled by editors from 1945 onward. The series contains revised versions of works previously published, works not previously translated, and new translations of many of Jung's writings. Several of the volumes are extensively illustrated; each contains an index and most contain a bibliography. 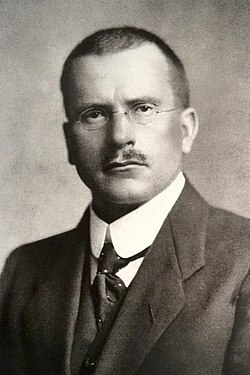 Prior to Jung's death he supervised the revisions of the text, some of which were extensive. An enormous body of Jung's work still remains unpublished. Princeton University Press published these volumes in the United States as part of its Bollingen Series of books. Routledge & Kegan Paul published them independently in the United Kingdom. In general, the Princeton editions are not available for sale in The Commonwealth, except for Canada, and the Routledge editions are not available for sale in the U.S. There are many differences in publication dates between the Princeton and Routledge series, as well as some differences in edition numbers and the styling of titles; there are also various hardback and paperback versions, as well as some ebooks, available from both publishers, each with its own ISBN. This article shows dates and titles for hardback (cloth) volumes in the catalog of the Princeton University Press, which also includes paperback and ebook versions. Information about the Routledge series can be found in its own catalog. A digital edition, complete except for the General Index in Volume 20, is also available. Both the individual volumes and the complete set are fully searchable. The series includes 20 volumes, one of them published in two parts. Each volume is numbered as shown below. Detailed chapter-by-chapter abstracts of each volume are available online. The Routledge series includes the same volumes with the same numbers, but with many different publication dates and some minor variations in the styling of titles. This volume is a current record, through 1990, of all of C. G. Jung's publications in German and in English, replacing the 1979 edition. It records the initial publication of each original work by Jung, each translation into English, and all significant new editions, including paperbacks and publications in periodicals. The contents of the respective volumes of the Collected Works of C. G. Jung and the Gesammelte Werke (published in Switzerland) are listed in parallel to show the interrelation of the two editions. Jung's seminars are dealt with in detail. Where possible, information is provided about the origin of works that were first conceived as lectures. There are indexes of all publications, personal names, organizations and societies, and periodicals. This volume is the general index to the eighteen published textual volumes in the Collected Works of C.G. Jung. The comprehensive indexing goes beyond the volume indexes, and includes sub-indexes to important general topics, such as Alchemical Collections; Codices and Manuscripts; Freud; and the sub-indexing for the Bible arranged by book, chapter and verse. The Philemon Series is currently in production by the Philemon Foundation. The series will eventually include an additional 30 volumes of work containing previously unpublished manuscripts, seminars and correspondence. The Question of Psychological Types, 2013. Dream Interpretation Ancient and Modern, 2014. The Jung & Neumann Correspondence, 2015. Notes from C. G. Jung's Lecture on Gérard de Nerval's "Aurélia", 2015. History of Modern Psychology: Lectures Delivered at the ETH Zurich, Volume 1, 1933-1934, 2018. Dream Symbols of the Individuation Process. Notes of C. G. Jung's Seminars on Wolfgang Pauli's Dreams, 2019. Walter Kaufmann has criticized the arrangement of the Collected Works as unsystematic, and R. F. C. Hull's translation as occasionally inaccurate and overly sympathetic towards Jung. ^ "Collected Works of C.G. Jung". Princeton University Press. Retrieved 2014-01-15. ^ Taylor & Francis. "Collected Works of C.G. Jung, The First Complete English Edition of the Works of C.G. Jung". Archived from the original on 2014-01-16. Retrieved 2014-01-20. ^ "The Complete Works of C.G. Jung". Philemon Foundation. Archived from the original on September 19, 2015. Retrieved 2014-01-19. ^ "Collected Works of C.G. Jung, Complete Digital Edition". Princeton University Press. Retrieved 2014-01-23. ^ "C.G. Jung's Collected Works: Abstracts". International Association for Analytical Psychology. Retrieved 2014-01-18. ^ a b c d "Collected Works of C.G. Jung". (Click on this book's title to see the details). Routledge. Archived from the original on 2014-01-16. Retrieved 2014-01-21. ^ "Collected Works of C.G. Jung, Volume 19: General Bibliography (Revised Edition)". Princeton University Press. Retrieved 2014-01-21. ^ a b "Collected Works of C.G. Jung, Volume 20: General Index". Princeton University Press. Retrieved 2014-01-21. Abstracts of the Collected Works of C.G. Jung - Detailed abstracts of each work, edited by Carrie Lee Rothgeb, of the National Clearinghouse for Mental Health Information, a branch of the U.S. National Institute of Mental Health.